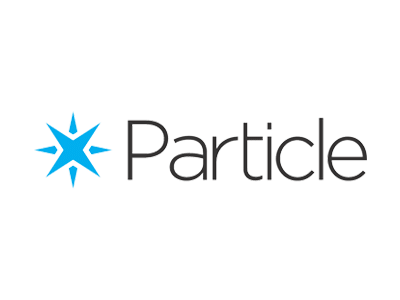 Particle is the fastest and easiest way to get your Internet of Things product up and running. Their cloud platform, global IoT SIM cards, and connectivity hardware are perfect for everything from your first prototype to your millionth unit shipped. If you are building an Enterprise IoT application, you need to make sure that it is easily managed, scalable, and performant. InfluxData and Particle bring you a powerful end-to-end IoT ecosystem where you’ll benefit from faster time-to-market, lower startup costs, easy scalability & maintained performance for your IoT application. With a combined community of over 280,000, these two popular tools will help you gather metrics from your IoT devices and sensors to help you successfully manage your devices. In this webinar, David Simmons from InfluxData and Jeff Eiden from Particle offer you an overview of this solution with detailed step-by-step instructions on how to get started! Come Hear One of our Developer Advocates at All Things Open! Noah Crowley, Developer Advocate at InfluxData will be presenting at this great IoT event and showing a how you can use InfluxData and Particle to create the perfect backend to your IoT solution. A great step-by-step guide on how to build a Telegraf plugin that can interact directly with the Particle Cloud’s Webhooks architecture.